This is a quiet neighborhood. There is ample street parking. Please park with care and consideration. Cash, Good Check, All Major Credit Cards. We will be happy to help you with small items. Bring Help to Load Large Items. We will have specific pickup times Monday and Tuesday following the sale. We are Not Responsible for Accidents. Be Nice or Leave. Please do not email or text to ask for pricing or dimensions. Please do not call during the sale. 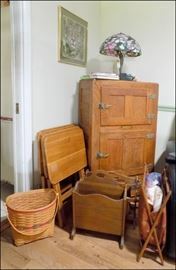 Illinois Ice Box, One of Several Longaberger Baskets, Stained Glass Lamp, etc. Steiff Sterling Flatware. 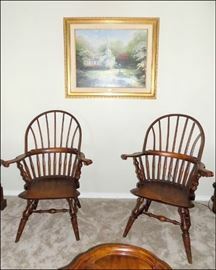 There are two sets, "Rose" and "Repousse"
Windsor Chairs and a Limited Edition Thomas Kinkade print "Hometown Chapel"
Antique Maritime Items. 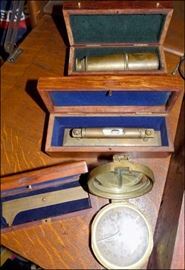 Spyglass, Level, Compass, and Sextant. 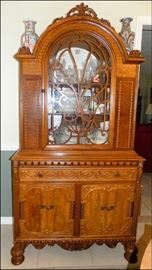 Arts & Crafts Oak China Cabinet with Collectible Glassware and Bells. Oak Barrister Bookcase with Milk Glass, Biscuit Jars, etc. The Dining Room is FULL! 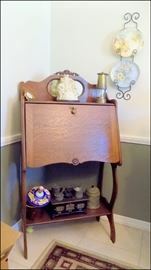 Can you see the Berkey and Gay Oak Buffet that Matches the China Cabinet? Steiff "Rose" and Reed and Barton "Classic Rose" Sterling Flatware. 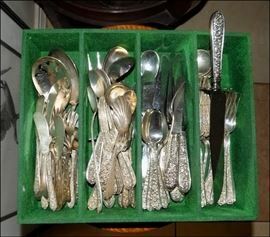 There are some odd pieces of sterling flatware as well. The tip of the "Camera Iceberg". There is photo equipment old and new. 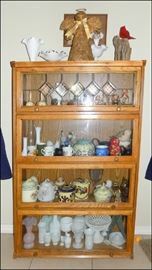 1920s China Cabinet with a Royal Doulton China Set inside. 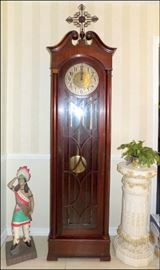 Old Mantle Clock. 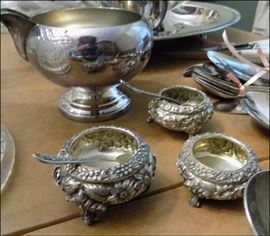 Oil Lamps. Lots and Lots of Mens and Ladies Clothing. The Garage. Tools, Tool Bench, Supplies, etc. More Garage. Power Tools, Tool Box, etc. Oak Bowfront filled with Elegant Crystal, and Antique Cut Glass Punch Bowl, and Lots of Other Collectible Glassware. Oak Shelf Unit filled with Christmas Items. Red Leather Loveseat. There is a Matching Sofa. Small Refrigertor. Old Coffee Grinders. 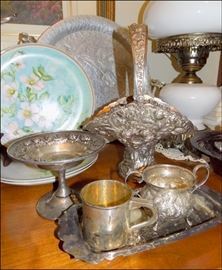 Lots and Lots of Christmas Items, Old and New. 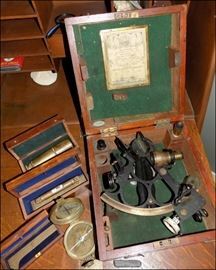 Antique Tools and Implements. Collectible Signs. Cast Iron Banks, Victorian Shadowbox, Coal Iron.